Chipmaker argues for import ban of Intel-based iPhones. The US International Trade Commission has recommended that a trade judge find that Apple infringed on at least one of Qualcomm's patents which could lead to some iPhones being blocked from import. The chipmaker filed a complaint against Apple almost a year ago in which it asked the commission to ban the import of iPhones containing Intel's modem chips. During a trial in Washington, ITC staff said the iPhone maker had violated one of Qualcomm's patents pertaining to battery-saving technology. During trade cases the ITC staff acts as a third party and while the opinions of staff lawyers are not binding, Judges often decide to follow them. Apple previously argued that Qualcomm's patents are invalid and that a judge should not ban Intel-based iPhones because it would give Qualcomm a monopoly on modems in the US. Of the many legal disputes that have occurred between the two tech giants, the ITC case is the first to go to trial with a decision expected by January. If some models of Apple's iPhone are banned by the ITC judge, Qualcomm could use this to make Apple settle or even drop some of its other patent and contract cases against the company. 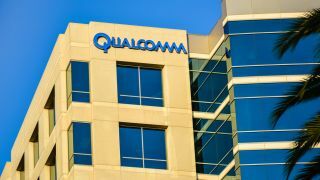 According to Apple, some of Qualcomm's practices are illegal and the chipmaker has already paid billions in fines from antitrust regulators in several countries. Qualcomm insists that its practices are legal and that customers accepted them during the smartphone boom though it has changed its licensing model in recent years to ease customer and regulator tensions. A decision in the case is expected in January and we will likely hear more from Apple and Qualcomm as the legal proceedings are now underway.